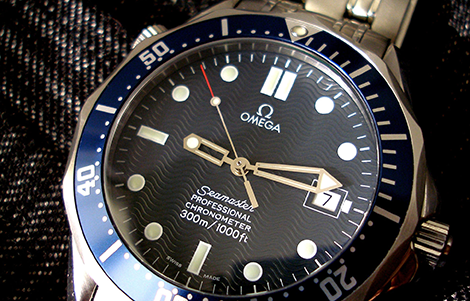 Whether it’s the Seamaster, Deville or Constellation series that has become your top choice of luxury wristwatches, finding an Omega watch repair service that you can entrust with the care and maintenance of your beloved timepiece is critical. In Rexburg, Idaho, the first and last name in chronograph care is Grover Service Centre, renowned for providing quality restorative processes to enhance the value of your favorite practical accessory. No other local provider can offer the quality or dedicated experience to ensure that your Omega watch repair job is executed with the meticulousness that matches this famous brand’s world record holding accuracy. Martell Grover has demonstrated an intense passion for restoring vintage and modern timepieces through his formal Swiss master watchmaker’s education and 50 years’ worth of practical experience. For over 15 years, Grover Service Centre has provided Rexburg, Idaho with his expertise and unmatched customer service. If you are looking for a master craftsman to conduct your Omega watch repair service, look no further than Mr. Martell Grover’s illustrious workshop. Each component will be cleaned, evaluated and restored to revitalize your wristwatch’s movement and preserve its original accuracy. Through a revolutionary fusion of modern technology and old world skill, Grover Service Centre will complete your Omega watch repair to your satisfaction. We calibrate all movements to factory standards and ensure that your timepiece is as aesthetically striking as the day you entrust its restorative processes to our master watchmaker. Call or stop by today to find out more about how we can maintain your favorite wristwatch. As a company that has attained multiple “firsts” when it comes to high quality timepieces and maintained unparalleled records for accuracy, Omega is inarguably one of the premier sources for superior wristwatches. Grover Service Centre is privileged to provide skillful restorative services for these elegant, iconic timepieces.